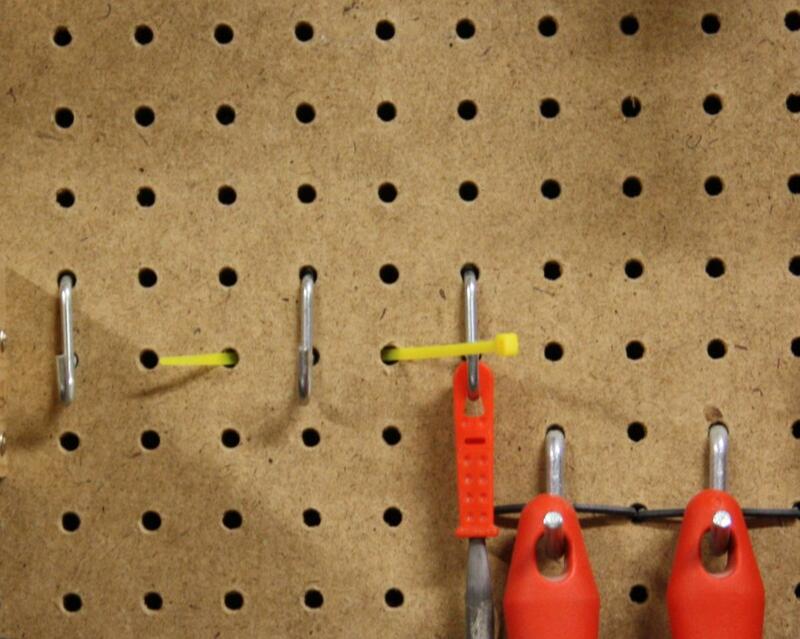 I’ve read in many places that you can just use zip ties to secure pegboard hangers that have a tendency to pull out. What I never see is how the heck you actually accomplish this. 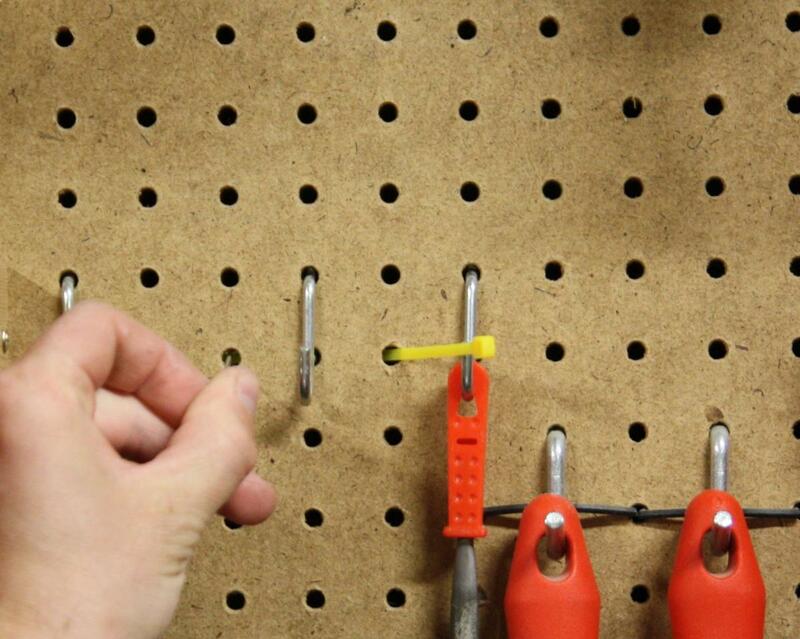 So what my little slide show demonstrates is one very easy way to grab the end of the zip tie if you don’t have access to the back of the pegboard. 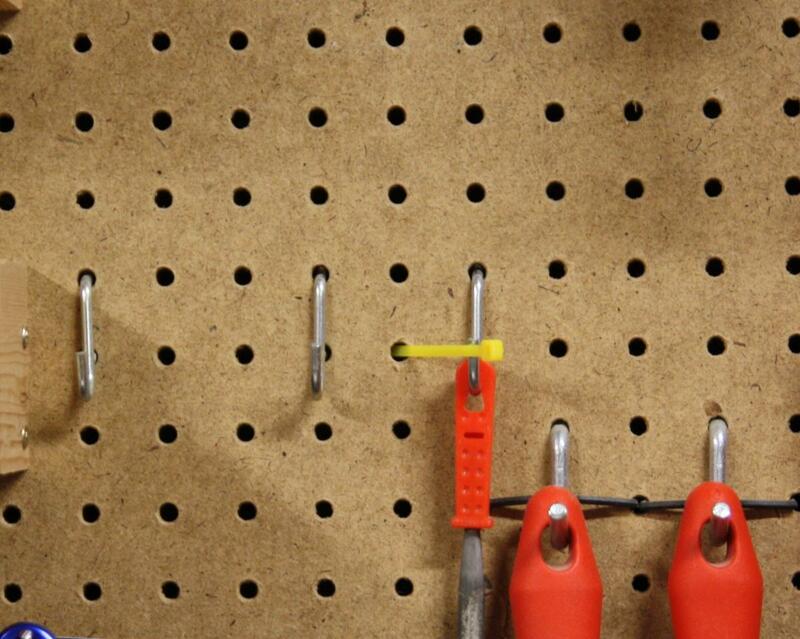 This technique works well in pegboard with 1/4? holes. If you have the type with the smaller holes this might not work because the smaller zip ties you’d need to fit in the holes might not be long enough. 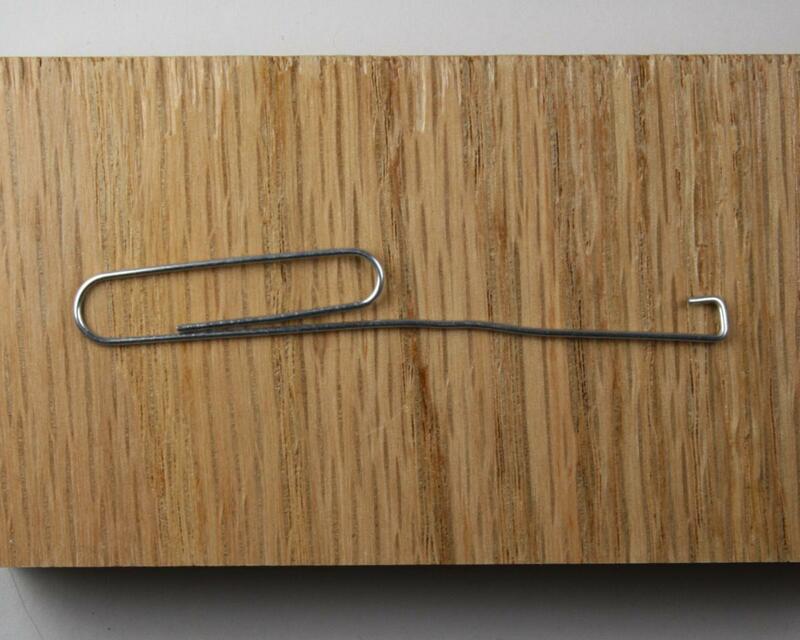 I started by partially straightening a paperclip and bending a square hook the size of the zip tie in the end. By leaving the loop in the paper clip, it also makes the “tool” easier to handle. Then you thread the zip tie into the hole next to the hanger. It doesn’t matter which side you start on as long as you angle it so it goes behind the hanger. 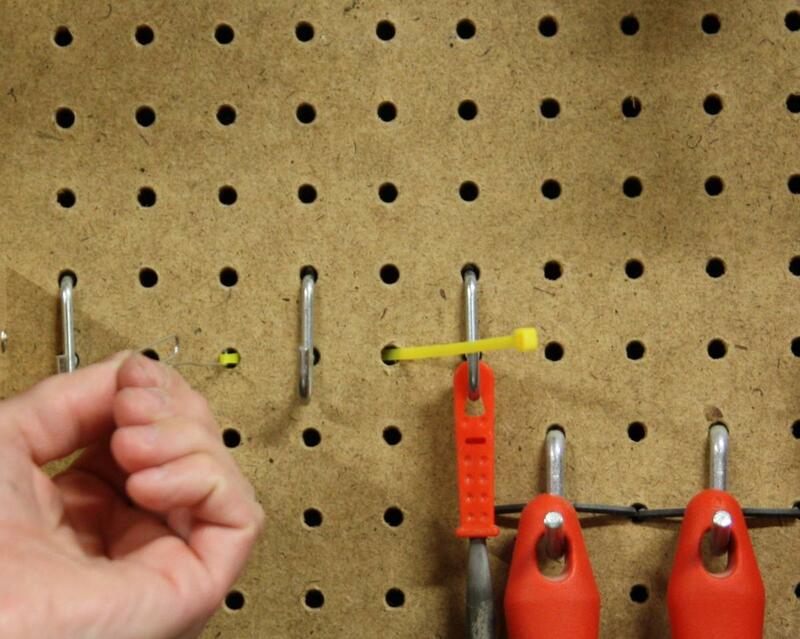 Once you have enough of the zip tie pushed into the hole, push the fishing tool into the hole on the opposite side of the hanger at a slightly downward angle with the hook up. Angle the fishing hook up until you feel the zip tie (you can more easily feel this if you hold the other end of the zip tie), and start pulling it back through the hole. If it is a thicker zip tie, you might have to pull the zip tie back until you get to the thinner tip, which will bend easier. Hopefully you should now have an end poking through the hole on the opposite side. If you don’t get it the first time, don’t worry it took me a few tries the first time. Snug the zip tie and trim the end. Now your hanger won’t pull out when you grab the tool and you probably didn’t spend a dime because you have 1000 zip ties anyway.